This may be my final post in this blog, as I have run the gamut of the program. (At least I think so). The final giant ordeal of this program is getting transcripts from the university to an employer, university or yourself. First off, as you probably know, you’ll need your transcripts to continue your education in another master’s program, a Ph.D program or to prove you’ve got the degree for employment purposes. If you want to continue your education, even for another master’s, you’ll need to prove which classes you’ve taken. If we’d gone to a local university, this would be easy. I can actually order transcripts from Auburn in 5 minutes and get text message updates as they’re delivered. This will not be the case with Alcalá. It’s mid February and I’ve been working on this (and not getting paid for my master’s degree since August). Here you can learn from my mistakes. HOW TO ORDER: Before even ordering the transcripts, you’ll need a clear idea what you need them for and to whom they should go. I’ll reference my own person case to keep this out of the abstract. These transcripts will be from a foreign university and will be written in Spanish. For that reason, they’ll need to be evaluated by a third party organization. I didn’t need mine to be separately translated, and neither did my friend who has fully completed the process. 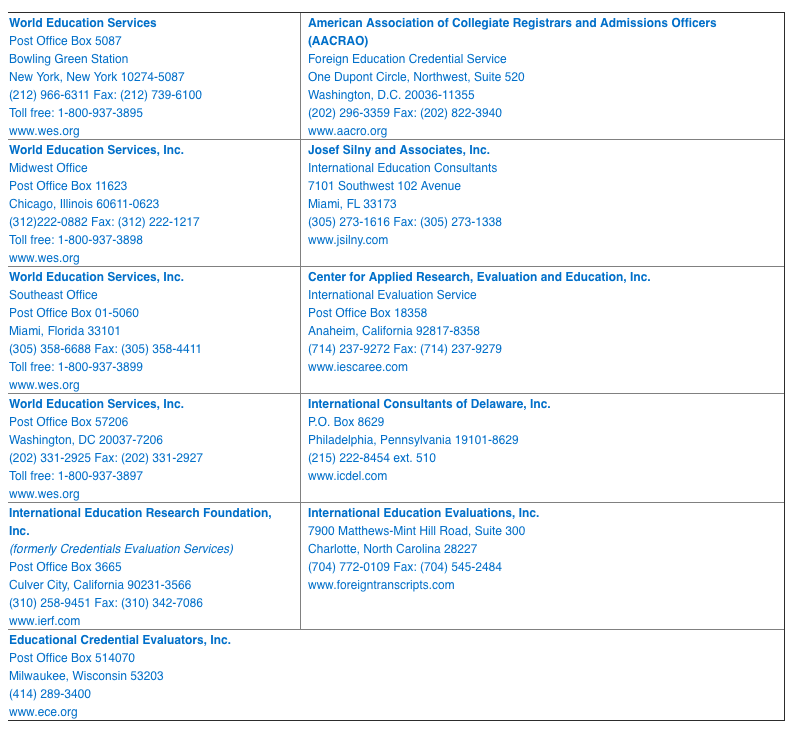 There are a few organizations that will evaluated foreign transcripts and I received a big list of them from my employer (a school district). I opted for World Education Services because that’s what my friend used. (I’m open to sponsorship and advertising BTW). The big picture process is that the transcripts must be ordered by you and sent from Alcalá to WES. WES will evaluate them and decide if they’re kosher. 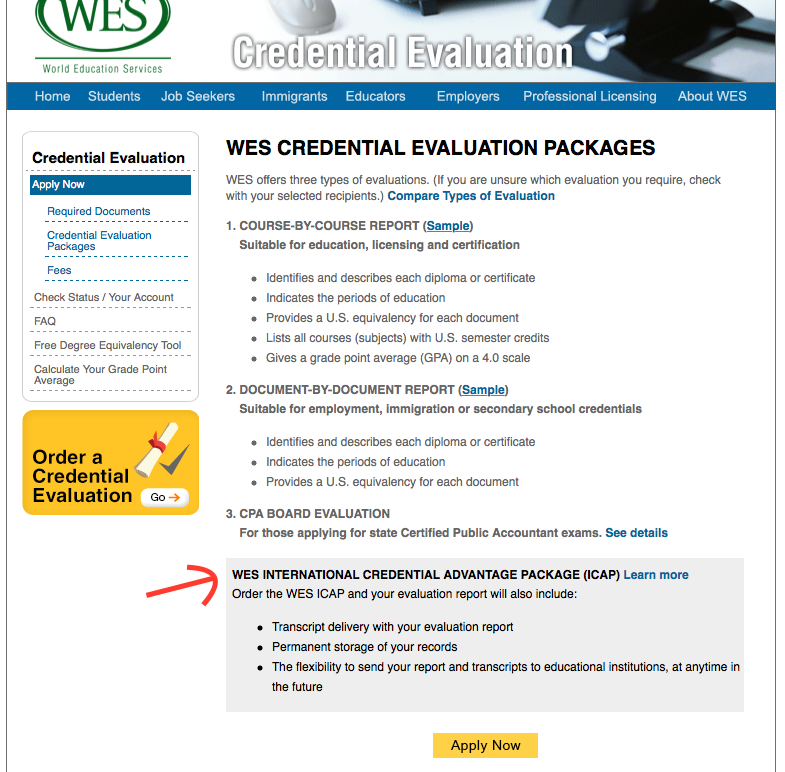 In any case, they will send their evaluation to the person/organization that you chose when you paid on WES’s website. 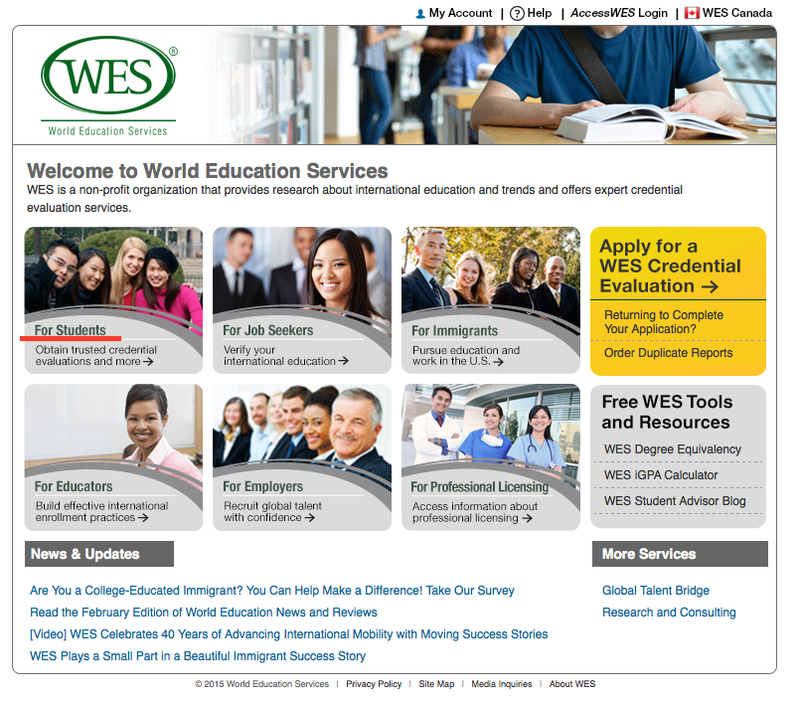 STEP 1: Go to the WES website. Register. Here’s when it starts getting weird. WES has a lot of options for you depending on what you need. They’ll certify a lot of things. What you’ll probably want/need is what I got – a course by course evaluation of your transcripts. This is the most expensive option but it’s worth it. I may change my mind on going back to school one day and, if I do, I’ll want some of these classes to count towards my new degree. But more than that, with this option, they’ll keep your evaluation on file forever, and you can just order it to be sent to someone in the future whenever you need it. If this is what you want/need (in lieu of the slightly cheaper option which is a one-time only deal), the name of what you’re looking for is called WES ICAP. The “I” stands for international. The page where you choose has the options laid out like a matrix. You just click on the bubble of the thing you want and you can see what comes with that particular package. Since my order is still processing I can’t view it without making a new fake account. After I complete this process I’ll try and put some up, along with any other new info. After you complete this process, which cost me $297 dollars, you’ll need to actually order your transcripts from Alcalá. The fee included the evaluation, a copy sent to me, and a sealed copy of the evaluation sent to the Alabama State Department of Education. You’ll need the address of where the evaluation is going during the ordering process. It took me a while to find the ALSDE address for this type of thing and the WES website wasn’t any help. It’s got a catalog of recipients, but mine wasn’t in it. Once you’re done ordering from WES, you can check the progress of your order on their website. Things like: if they’ve received your required documents, the status of shipping the evaluations, etc. ORDERING FROM ALCALÁ: I’m an expert at this; I had to do it twice. The first time, I didn’t know I had to have the transcripts evaluated so I just spend 5 months trying to get them sent to me. The first hurdle is the Spanish calendar. The university is shut down in August, when you need the things, so you have to wait until September just to request them. When you graduated the director will send you and email detailing what to do exactly, but I’ll include everything here. Be advised that next year things may have changed slightly so check with them. To obtain your Transcripts from Universidad de Alcalá you need to request them at Estudios Propios Office (paying a fee at Universidad de Alcala). One month after the Program Graduation you can request the official transcripts. Send an email to secalum.postgrado@uah.esincluding the previous forms. Personally at Santander Central Hispano bank with the receipt that Estudios Propios will send you by email after requesting the transcripts or diploma. After paying the fee, send a copy of the payment in pdf to secalum.postgrado@uah.esor take a copy personally to the Estudios Propios Office (Colegio de León, Calle Libreros 21, 28801, Alcalá de Henares, Madrid). Please send a copy of the payment to secalum.postgrado@uah.es or by fax to 00 34 91 8856879. THE PAYMENT RECEIPT MUST INCLUDE THE COMPLETE NAME OF THE STUDENT. To obtain the transcripts: it takes approximately 10 days after the payment has been completed. To obtain the diploma: it takes around 3 – 6 months after the payment has been completed. BASIC OUTLINE OF TASKS: You will need to download the request form, fill it out, and email it back to the university along with a form in Spanish from WES which authorizes the university to give your transcripts to a third party. Alcalá will send you a document with a price on it (in Euros). You will need to wire them money via bank-to-bank transfer. If you’re still in Spain you can just do this is person. After the bank transfer is completed successfully, they will send the transcripts to WES. WES will evaluate them and send the evaluation to both you AND who you elected to receive them ($30 extra) in a sealed envelope. You get money or college credits. write place where you are, the date, and sign. Lastly, scan this document and email it to the Secretaria de Alumnos Postgrado. 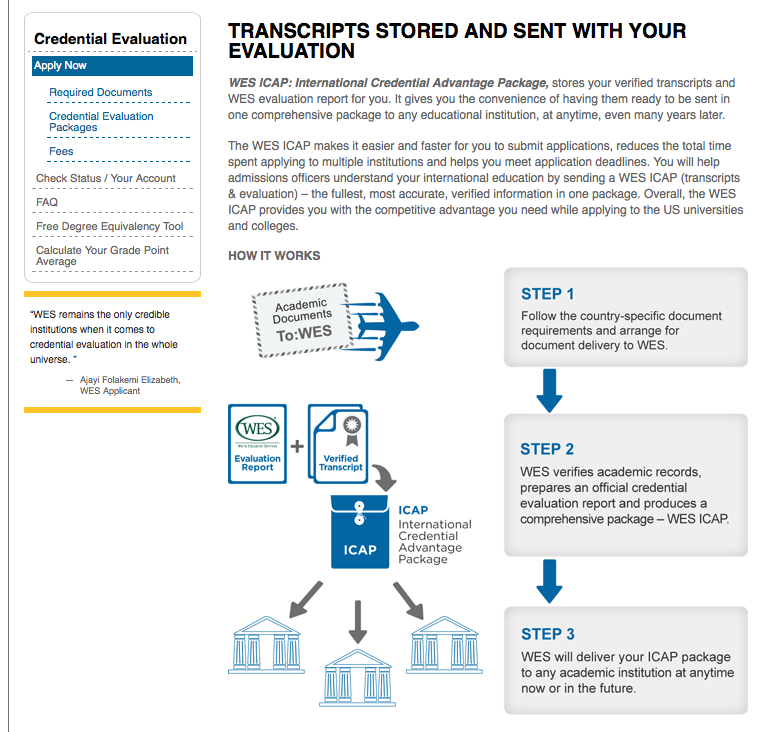 Be sure to include the spanish version of the WES form, which will release your transcripts to a third party. 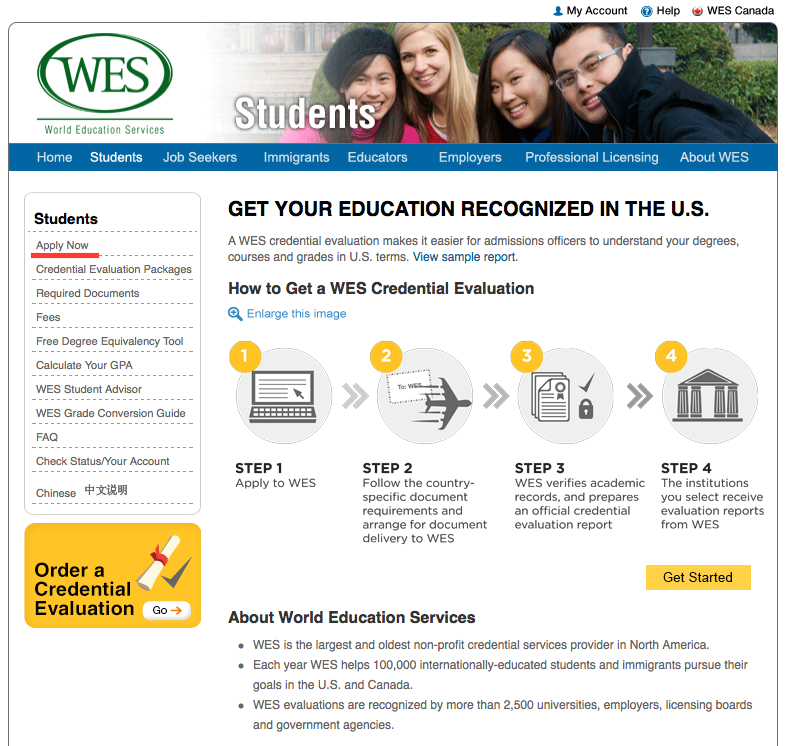 The WES form is called “Solicitud de Certificado de Estudios/Calificaciones.” You will only fill out the top part of that form. If you have any doubt on how to fill it out, just check out its corresponding English version. PAYMENT FOR TRANSCRIPTS: Before you pay, and after you send the two documents to Alcalá, you will receive an email from the university. It’s basically a receipt telling you how much you must pay, and by when. The price as of 15 Feb 2015 is 28.02 in Euros. All in all, I think it cost me almost $60, due to a $25 bank fee and exchange rate. My bank does international bank to bank transfers, so this was too difficult for me. Another bank that does them (that I know of) is Bank of America, though I don’t use them. The process is just a phone call. Call your bank, tell them what you need, and for how much, and give them all the details you have about the bank account/number where the transaction is going. UPDATE 4/12: Some good news friends; Early last week WES sent me an email saying my evaluation was about to be processed. they gave me the date of Tuesday 4/14. However, it was completed early and on Thursday I logged on and viewed the eval. It rated my degree equivalency as “Master’s.” It should be on its way to the Alabama Dept. of Ed. so hopefully my paycheck will reflect the degree at the beginning of May and I’ll also receive my backpay check (right now it’s about $2100). UPDATE: 5/17: The good news is that my degree, after several phone calls to the Alabama state department of ed, has been recognized by the state and my pay will increase – the ordeal is finally over!!! 🙂 The bad news is that I will not be receiving any back pay (2,500 at this point). The money has dissipated into the ether, so I just have to move on. The reason I was given is that the pay increase only takes effect the day the superintendent (or whoever it was) actually signs a paper recognizing my “Highest Degree Earned.” Every teacher I talked to said that they had received back pay after getting all their paperwork sorted but maybe it’s just my district, which is among the poorest in a really poor state. In any case, I just have to get over it, unless my union rep actually writes me back confirming that this is the rule.